Hello, hello! Today we are very excited to welcome STARSTRUCK author, RACHEL SHUKERT, to the blog. She’s discussing all things Hollywood, which means many of the wonderful spots featured in the first two books of her young adult series. If this doesn’t make you want to jump on a plane (or even better, pick up Starstruck — the fiscally responsible option! ), I don’t know what will. Palm trees, celebrities, fancy drinks… sigh. When I started writing the STARSTRUCK books, my life was totally different. I was living in Manhattan, in an apartment in the East Village above a pizza place that used to blast music through our bedroom floor at 4 in the morning. I never slept, because there was so muchÂ to do, so many people to see. I was a New York girl through and through, who could count the number of days Iâ€™d actually spent in Hollywood–my imagination is another storyâ€”on my fingers. I loved it. Four years and two and a half books in (Iâ€™ve turned in the first draft for Number 3!) and everything has changed. Iâ€™ve made it to what my friend calls: â€œthe end of America.â€ Iâ€™m living in Los Angeles now, in a Spanish-style stucco house built in 1926, probably to house some of the very first employees at the nearby Paramount Studios. Iâ€™ve got a hibiscus tree filled with hummingbirds that I see every morning through my bedroom window. I spend most of my days on the phone or at my computer, dealing with notes on television projects, and I go to bed by 11 at the latest. I donâ€™t drive anywhere without seeing the Hollywood sign looming in the middle distance, reminding me and everyone who sees it just whatâ€™s at stake here. I love it. What I love most of all is how so much of it feels preserved. LA is a town with real nostalgia for the past. Sure, many of the places I researched and described as the STARSTRUCK girls stomping grounds have made way for the newâ€”Schwabâ€™s Pharmacy, where Margaret Frobisher (soon to be Margo Sterling) is discovered over a sandwich and an ice cream soda, was torn down to make way for a shopping complex; the famous Cocoanut Grove nightclub, where Gabby, Margo and Amanda get up to so much glamorous trouble, was demolished along with the Ambassador Hotel in 2005, despite all efforts by some of Hollywoodâ€™s leading lights to save it. But the majority of places on the Starstruck grand tour are still alive and thriving, and Iâ€™m so excited to take you on a little virtual tour! 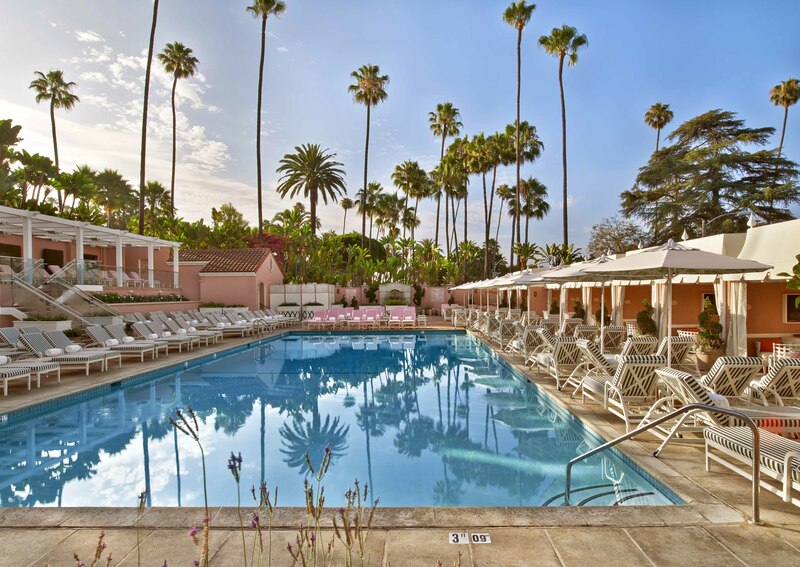 First stop is the gorgeous Beverly Hills Hotel, a place I have been in love with every since Phyllis Nefler took the rain-drenched Wilderness Girls there in Troop Beverly Hills. (Roughing is one bathroom for 9 people!) Itâ€™s been restored completely to its former glory, complete with the iconic Martinique pattern of lush green palm leaves on every wall. And the pink tufted couches. And the white wrought iron chairs. And Iâ€™ve gotten a little obsessed with interior design now that Iâ€™m living in more than 500 square feet. Please excuse. But the hotel is amazing, truly. You can have the famous McCarthy salad at the famous Polo Lounge, where Margo fights with her leading man Dane Forrest and desperately tries to fend off the leading inquiries of the malicious gossip columnist Perdita Pendleton, or you can pretend to be a hopeful young starlet desperate to be discovered at the counter of the totally vintage and museum-quality Fountain Coffee Room in the basement (itâ€™s not exactly Schwabâ€™s but itâ€™ll do, pig, itâ€™ll do. And yes, I am unable to use the phrase â€œthatâ€™ll doâ€ or â€œitâ€™ll doâ€ without an allusion to Babe.) And the pool, my God, the perfect turquoise pool where you get that very particular kind of LA light that makes you feel very tan and like you have very red lips and your life is perfect. For a taste of old Pasadena the way Margo experienced it, check out the Gamble House as in Proctor & Gamble (not to mention Evelyn Gamble), an architectural masterpiece that makes you wonder why she ever wanted to leave. And finally, Griffith Park at sunset. 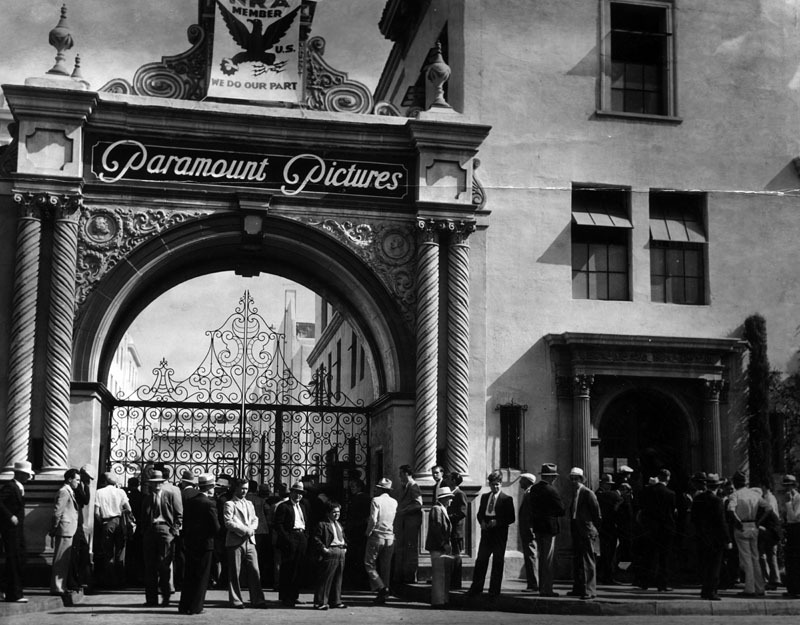 Named after early Los Angeles grandee Griffith J. Griffith, it was also where the legendary film director D.W. Griffith (no relation, if you can believe it!) shot his landmark (and super creepy racist) silent film Birth of a Nation. Olive Moore probably had an affair with him, back in the silent era. You can see her house from your cliff-top perch. Itâ€™s whichever one you want it to be. Happy reading, and LA loves you!